For audiophiles, Juno audio has announced the Viotone M One speaker. The speaker has an integrated violin that is used to enhance the tonal properties of the sound. The violin is designed by craftsman using 300-year-old wood. The speaker is powered by 3 separate DSP amps totaling 1500 watts, and has a high end kevlar cone with a neodymium motor assembly, and a titanium dome tweeter. The Viotone M One is only for the most serious buyers, and starts at $25,000 a piece. Burlingame, CA- January 5, 2015: Juno Audio is thrilled to announce the release of the Viotone M One, a speaker that transforms everyday audio into pure, natural sound. Viotone is the only speaker in the world that utilizes the natural shape and wooden resonance of a violin to recreate music the way it was meant to be heard. Viotones patent pending InstruSound technology features special electro-acoustic engineering inside the body of the violin to breathe new life into the music that we love. The Viotone M One is able to recreate music in such high quality because it radiates audio directly off the soundboard surfaces of the violin. The violin used for the speaker is made from 300-year-old wood and is produced through the expertise and experience of multiple craftsmen and a master artisan. The craftsmen work to meticulously fit and trim tuning pegs, carve the bridge, adjust string spacing, surface the fingerboard, and perform an array of other tasks that optimize Viotones frequency range. Viotones unique design features an 8 high performance Kevlar cone with a neodymium motor assembly that is topped by a titanium dome tweeter for balanced, powerful sound. Ceramic solid state transducer is integrated within the violins perfectly crafted body and the whole enclosure is powered by 3 separate amplifiers, each with dedicated DSP tuning totaling 1500 watts. Every Viotone is built to order and starts at $25,000. To experience music in its purest form, please visit www.junoaudio.com to learn more. Juno Audio creates once-in-a-lifetime experiences for audiophiles. 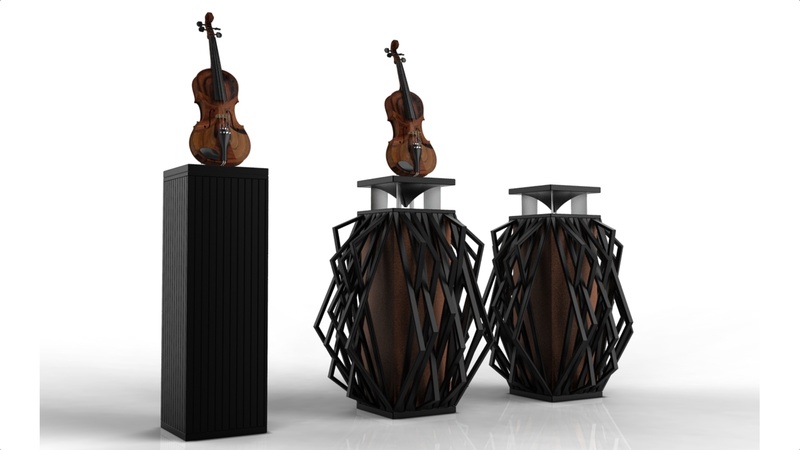 Juno Audio has crafted the first-ever speaker to play music derived from the soniferous perfection of violins.